Get notified when Bumbershoot tickets are available! Bumbershoot is a festival that is held in Seattle, Washington and is one of the biggest music and arts festivals on the entire continent. It happens over Labor Day weekend and has traditionally been held at the Seattle Center, which is 74 acres of space that features theaters, indoor and outdoor stages and plenty of room for fans to move around. 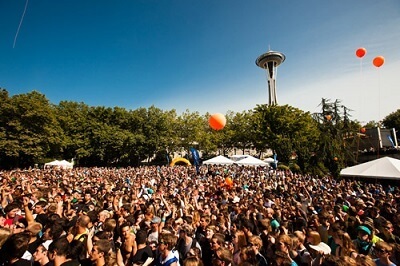 Celebration of the music and the arts in general is something that is taken to a whole new level at Bumbershoot and fans flock to the Pacific Northwest every year to be part of the one of the largest such gatherings in North America. You can too by clicking here for your own Bumbershoot tickets.